The Trump Organization has more business entities in India than any other foreign country, financial filings show, with licensing bringing in estimated payments of between $1.6 million and $11 million total since 2014. 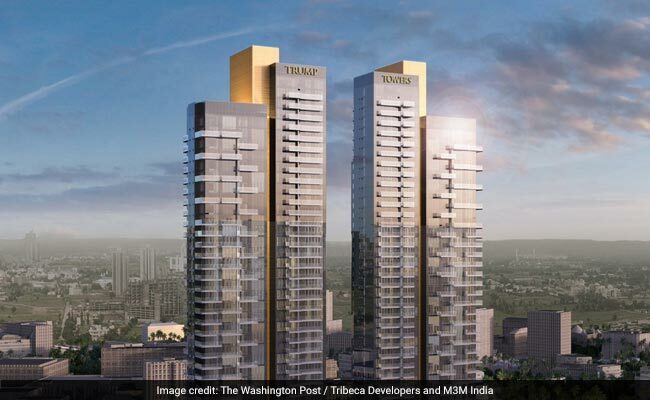 Gurgaon: Prospective buyers of luxury apartments in the new Trump Towers project in Gurgaon are being lured with an unusual promise: If you buy a flat, we'll fly you to the United States to meet the president's son, Donald Trump Jr. The developers of the 600-foot high-rises unveiled a sleek sales office in Gurgaon last week, claiming they racked up $23 million in sales - more than 20 units - in the first day. 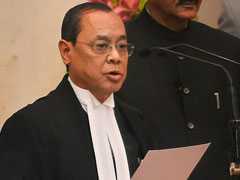 "It has been communicated to the media, but the structure and the travel of the stay is still to be planned out," Mittal said. Trump Jr. and the Trump Organization in New York did not respond to emails or telephone calls requesting specifics on their Indian partners' plan. A study released this week by the watchdog group Citizens for Responsibility and Ethics in Washington (CREW) found that the price of the popular "Ivanka Suite" in the Trump International Hotel in Washington, for example, increased from $914 a night last year to $2,134 a night in 2018. Norman Eisen, the co-chairman of CREW and a former Obama ethics adviser, called the Indian developers' offer "outrageous." Along with the Trump Towers Delhi NCR (National Capital Region) in Gurgaon, which is expected to be completed in 2023, the projects include two residential towers in Pune, a tower with a glittering gold facade in Mumbai, a planned office tower in Gurgaon and another residential project in Kolkata. The luxury real estate market in India is sluggish at the moment, but the Trump Organization says that sales of its more moderately priced units in Kolkata have done well - with the building more than 65 percent sold after a "soft launch" last year. Last week, employees from Mumbai-based Tribeca Developers gathered outside the new Trump sales office in the Oberoi Gurgaon - a luxury hotel. They did not allow a reporter to speak to any prospective buyers, who were ushered in one by one to see a model of the two towers emblazoned with the Trump name. The apartment homes in the project - with private elevators and access to a nine-hole golf course - range in price from about $780,000 to $1.6 million.